A reliable FL Studio alternative will allow you to create professional quality sounds and tracks while you sit comfortably at your PC. It comes with a whole set of comprehensive tools that enable you to mix and match tunes, record some great music and even put your own spin on things by editing songs. Wondering where you could find such a gem among the plethora of programs out there? Well, you’ve stumbled upon just the right place as we’ve listed out some worthy substitutes that come complete with loads of interesting features. If you’re looking for a free and user-friendly option, well this could be just the one you’ve been waiting to get your hands on. The cross-platform digital audio workstation is great for synthesizing and mixing together snazzy sounds as well as arranging samples and creating some foot-tapping tunes. 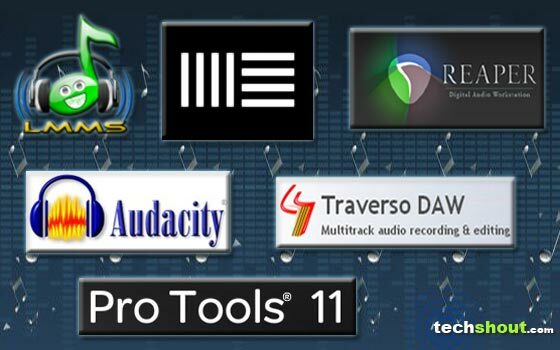 There are ready-made instrument and effect plugins along with fun samples and presets to avail of here. Also thrown into the amalgamation is an FX mixer with 64 FX channels, a song editor, a Beat+Bassline editor and a user-friendly Piano Roll for editing melodies with ease. 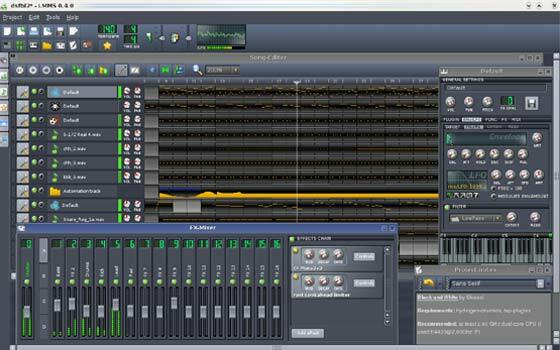 What’s more, it comes with a simple and modern user interface and even lets you import MIDI and Hydrogen project files. The program also proffers computer-controlled and user-defined track-based automation sources. This one is available for Windows, OpenBSD and GNU/Linux systems. 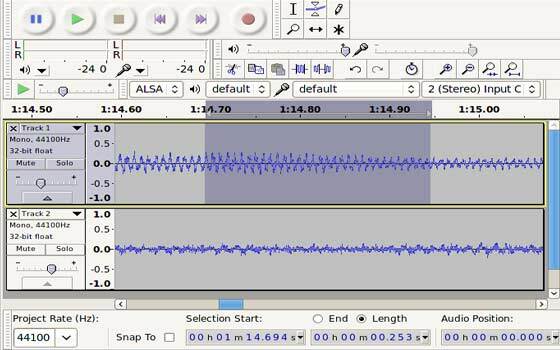 Here’s another audio editor and recorder that forays onto the scene with a $0 price tag. The open-source programs like FL Studio enables you to edit, mix and record sounds just the way you want. This covers editing files that come guised in different formats such as AIFF, Ogg Vorbis, MP3 and Wav. With this one within your grasp, you can also record live music, adjust the pitch and speed of the recording bit and even form a creative piece by merging together a variety of tunes. As the developer further adds, the program supports import and export of different file formats and even lets you transform all your vintage records and tapes that you just didn’t have the heart to throw away, into the digital form or CDs. And similar to the aforementioned gem, this software is also a cross-platform delight that complies with Windows, GNU/Linux and Mac OS X PCs. Want to capture the sweet sounds of your local band or even a single voice without relying on something too complex? Well, try this one on for size. 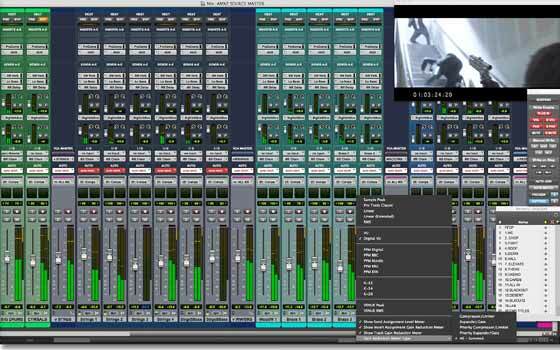 The audio recording and editing software caters to the professional sort as well as novices who prefer doing their recordings at home itself. Sporting a clean, easy-to-learn interface, it claims to be highly scalable and even comes with an Album Mixer that allows you to infuse your choice of songs with tons of effects. And once you’re done creating your masterpiece, you can seamlessly record your tunes onto a CD to show off at your friend’s next house party. 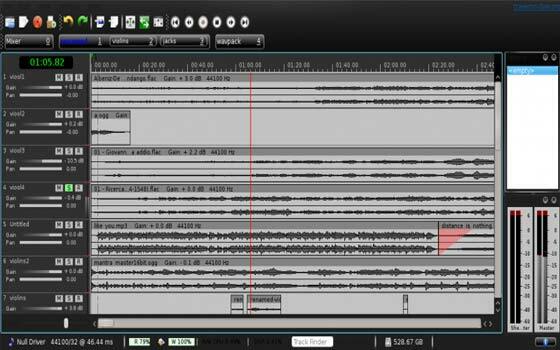 Featuring an optimized audio engine, it also comes complete with a better projects dialog and the ability to fold the track or sheet. Lastly, the program plays well with Mac OS X, Windows and Linux systems. 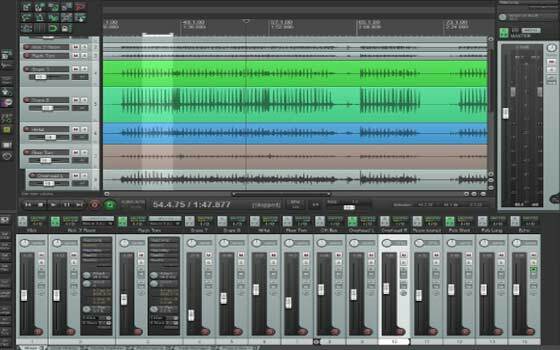 This software similar to FL Studio forays into our roster claiming to be ‘the new standard for audio production.’ The latest version of the digital audio workstation enters the virtual terrain bringing along new features such as high-powered audio and video engines as well as expanded metering, 64-bit architecture and direct HD video workflows. You’ll also find a useful offline bounce attribute for speeding up the final mix or stem deliveries and a low-latency input buffer for easily monitoring record inputs directly on native systems. Announced just a few months ago, this Mac OS X and Windows compatible software will cost you just under $700 for the full version and a starting price of $299 for upgrades. First off, the full form of the name reads as ‘Rapid Environment for Audio Production, Engineering, and Recording.’ With this one in place, you can easily record MIDI and audio bits from various inputs together as well as splice your recordings as you desire. 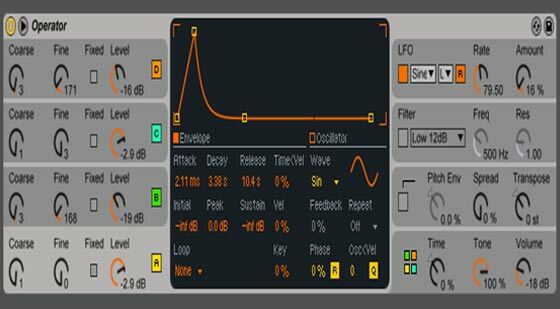 The handy program even jumps in proffering a treasure chest of MIDI and audio processing effects and even plays well with other third-party ones too. Each item comes complete with knobs for snap points, fades, per-take FX and volume so you don’t have to toggle between different tools. A few of its other features read as Free Item Positioning, sophisticated branching undo system, and native VST plug-in bridging and firewalling. You can procure the discounted and full commercial licenses at $60 and $225, respectively. The final entrant in our programs like FL Studio roundup is a good solution to turn to especially for the professional niche. It enters with a Session View sketchpad where you can play around with any number of audio bits and MIDI loops. The software also provides a whole slew of different sounds, kits, loops and instruments to create sweet sounding melodies. This lineup includes 390 drum kits, 5 synths and 3 samplers and 25 packs that comprise of more than 3000 sounds like acoustic instruments, synthesizers and different combinations. You’ll also find 4000 loops which contain MIDI and audio patterns soaked in a plethora of elements like the 60’s soul and electronica. The latest 9 edition comes in 3 flavors namely, Intro, Standard and Suite which are priced at $99, $449 and $749, respectively. Earlier recognized as FruityLoops, the digital audio workstation in the spotlight here graced the music scene with 4 editions to please different audiences. However, its services were only extended to Windows PC users. Now, if you own a Linux or Mac OS X system and wish to create sweet melodies of your own, you’ll be able to find an apt FL Studio alternative right here. There’s also a couple of treats in store for those who rely on Windows but are looking for a cheaper substitute or different sorts of attributes. So which one have you decided to pick up?